Former Primary School No. 2365, Carlton, was designed by the Chief Architect of the Education Department Architecture Branch Henry Bastow and constructed in 1880-81. It was built by contractor William Radden at a cost of 4079 pounds. It was opened on 1 March 1881. The former Primary School No. 2365 building is a two storeyed brick structure with cream face brick and stucco dressings on a bluestone plinth. Windows are multi-pane sashes set in pointed arch openings, those on the first floor front having dividing capitals. The roof is slate with ventilators; originally the roof also had finials and cresting. The building is centrally massed as an asymmetrical rectangular block running across the site, with a projecting central section. Separate entrances for boys and girls survive on either side of the main block. 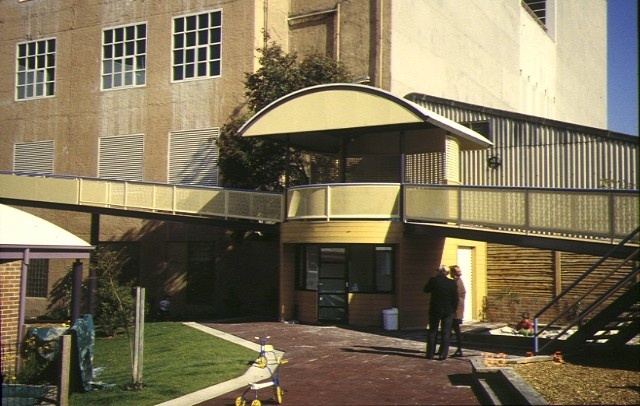 There is a polygonal bay office in the south-east front corner. In the centre of the facade is a pair of lancet windows surmounted by an oculi and all set within a lancet frame set beneath a raised gable. 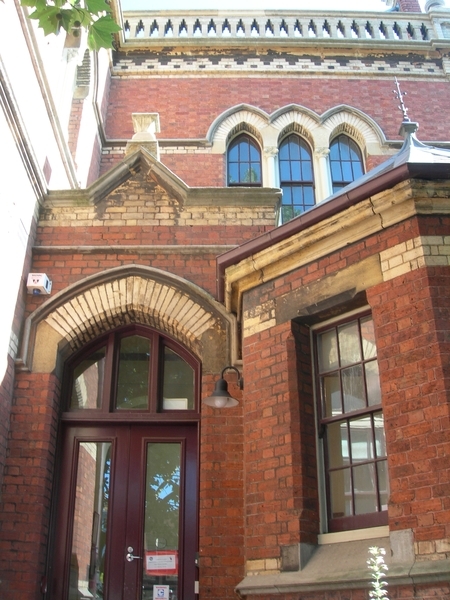 A Venetian Gothic effect is given by the polychromatic patterned brickwork immediately beneath the eaves and by the balustrade above constructed of stone and white bricks. Former Primary School No. 2365 is of architectural and social significance to the State of Victoria. Former Primary School No. 2365 is architecturally significant as a highly intact example of school design by the Education Department Architecture Branch in the early 1880s. 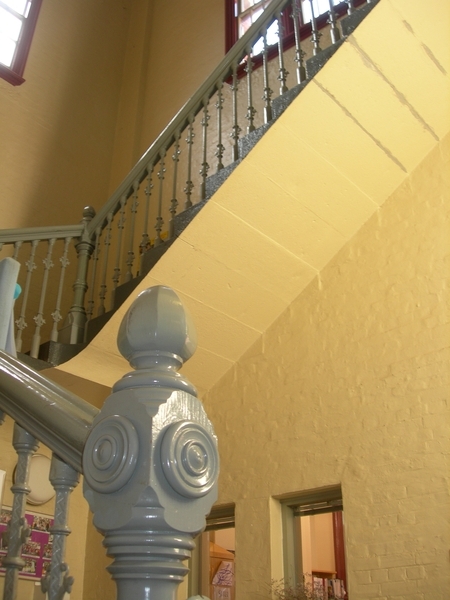 The building has undergone few structural alterations unlike most continuously used nineteenth century school buildings which have generally had substantial changes made including replacement windows to provide better lighting. Former Primary School No. 2365 is of special interest as a rare surviving example demonstrating separate entrances for boys and girls. 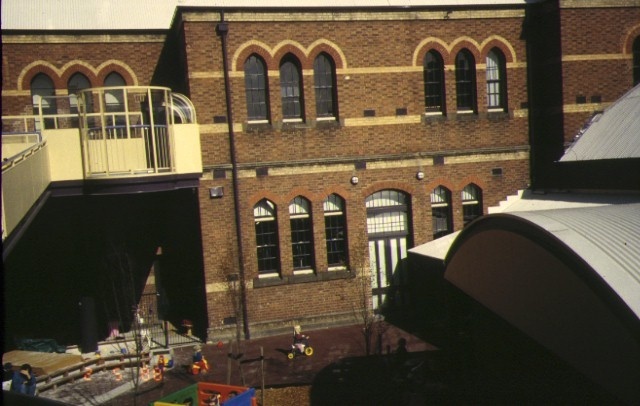 It demonstrates the second phase of State school building in late 1870s and early 1880s away from excessively large classrooms to a more compact style on two storeys suited to limited urban sites. Former Primary School No. 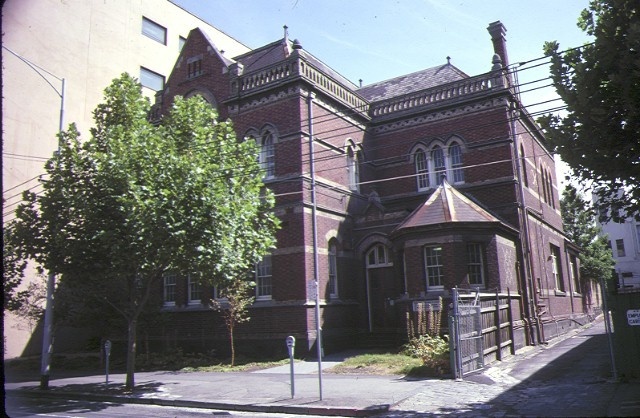 2365 is historically significant as evidence of the character of educational provision in working class Melbourne. From 1911 the Education Department embarked on a program to improve the lighting of its schools by altering inadequate windows. This school was one of the very few schools in the State to have been overlooked in this program, Primary School Nos. 2084 and 2798 in Richmond being other examples. 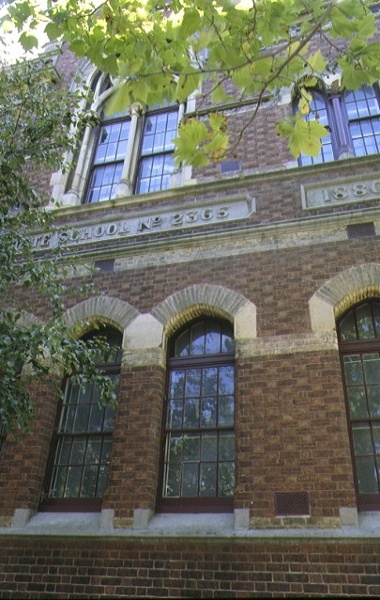 The failure to improve the situation in this school suggests the relatively poor consideration given to schools in Melbourne's inner suburbs as their economic status declined in the late 19th and early 20th centuries. 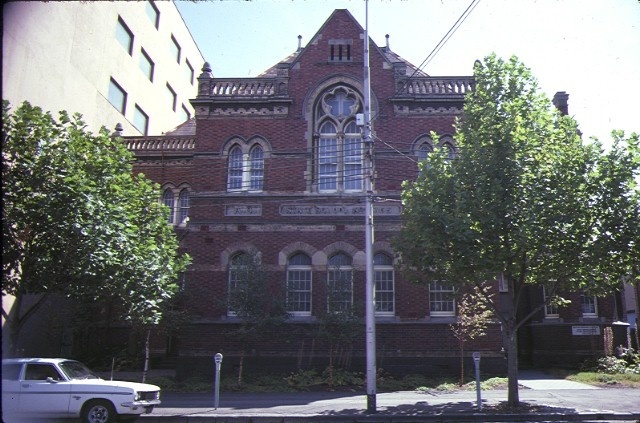 Former Queensberry Street Primary School, 225 Queensberry Street, Carlton. 1. All of the building know as the former Queensberry Street Primary School (but excluding the external toilet block) as shown on Plan 603573G (A) endorsed by the Chairperson, Historic Buildings Council and held by the Director, Historic Buildings Council. 2. All of the land described in Memorial Book 273 Number 318 marked L1 on Plan 603573G (B) endorsed by the Chairperson, Historic Buildings Council and held by the Director, Historic Buildings Council. 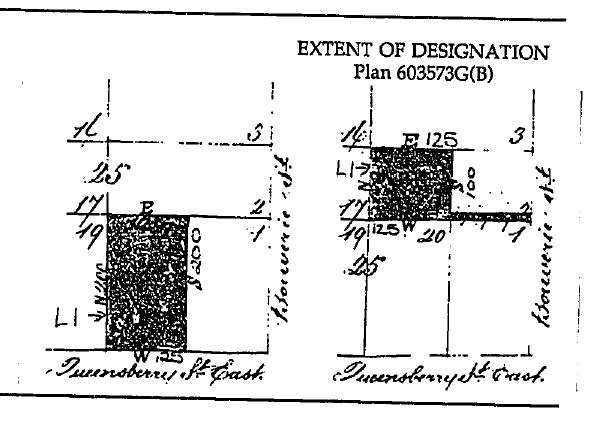 In 1877 a site of 1 rood and 20 perches and a frontage of 82ft to Queensbury Street was purchased for 2,200 pounds. A four room brick cottage on the site was also purchased for 100 pounds. The new brick building, accomodating 587 pupils opened on March 1st 1881. From September 1882 until December 1904 Queensbury Street school was worked as an adjunct to Rathdown Street School, no.2605. In 1884 the head teacher complained of air pollution from smoke from nearby factories. The school was sewered in 1903. In 1922 the two large upstairs rooms were partitioned. In 1931 classes for unemployed girls were given one day per week. The school closed in January 1932 after the numbers of enrolled children steadily declined.